A Response to False Claims made by The Nation. In an article in The Nation ("Justice Sunday Preachers" April 26, 2005), Max Blumenthal falsely asserts, "In 1996 Perkins paid former Ku Klux Klan Grand Wizard David Duke $82,500 for his mailing list. At the time, Perkins was the campaign manager for a right-wing Republican candidate for the US Senate in Louisiana." These facts have been widely reported in Louisiana and the reports appearing now in various partisan media are not accurate. In 2003, Mr. Jenkins published a letter in the major daily in Baton Rouge responding to a critical article that resurrected the same distortion. 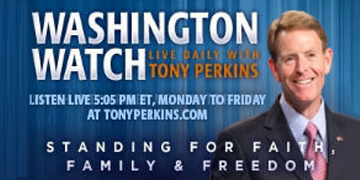 "[I]t is unfortunate," Jenkins wrote, "for you to smear a good man like [then-] Rep. Tony Perkins. There is absolutely nothing about the matter that should taint Rep. Perkins. His intentions were entirely honorable, and neither he nor I have ever been 'in bed' with David Duke as you so crudely and unjustifiably allege." The assertions made by Mr. Blumenthal are untrue and a distortion of the facts.